Beyond the Next mOuntain, a drama can be viewed on the DVD in English, Spanish, Korean, or Hindi, with or without English subtitles. There is also a feature highlighting biographical information on Rochunga Pudaite. The story follows the Hmar people of northeast India. Labeled by the British at the close of the 19th century as "the worst headhunters," Beyond the Next Mountain follows the introduction of a single copy of the Gospel of John in a village of Hmar people. Through that single copy, Chawnga, the father of Rochunga Pudaite, was introduced to a revolutionary "new life in Christ," This is the story of Rochunga's personal pilgrimage to bring the Scriptures to the entire Hmar tribe in their own language. Filmed in India, Hawaii, Scotland, and America, the story is a faithful missionary rendition. This movie dramatizes a father and son's struggle to bring the Bible to their tribe in northeast India. First exposed to the New Testament when a Scottish missionary ventured into his territory in the early 1900s, the father, Chawnga, became a follower of Christ and spread Christianity throughout his people. Chawnga's son, Rochunga, eventually left his home for school specifically to bring the Scriptures to his people, the Hmar. He studied in India, Scotland, and finally in Chicago, where he created a written language for his tribe and then translated the Bible into their new written language. At the close of the 19th century, the occupying forces of the British Empire cited the Hmar people of northeast India as "the worst headhunters". An appellation that was well deserved. But in 1910 a single copy of the New Testament Gospel of John came into the Hmar village and changed the course of history for the Hmar people. Through that one copy of the Gospel of John, Chawnga (the father of Rochnga Pudaite) was introduced to a "new life in Christ" that was to revolutionize his life and the life of his fellow tribesmen as he and some of them "forsook all and followed Christ". Chawnga believed that Rochunga was God's chosen instrument to bring the Scriptures to the entire Hmar tribe in their own language. 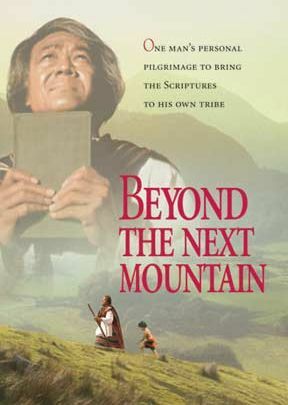 Beyond the Next Mountain is a full color, 97 minute, DVD production showcasing the story of Rochunga's personal pilgrimage. 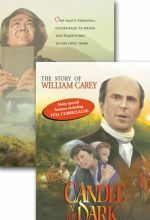 This true life saga of one man's dedication to a vision and of seeking God's direction for his life was filmed in India, Hawaii, Scotland and America. 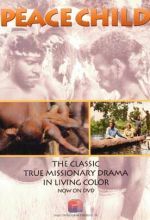 The DVD format allows viewing in English, Spanish, Korean, or Hindi with or without English subtitles, chapter titles providing easy scene access, and biographical information on Rochunga Pudaite. Beyond the Next Mountain is a dramatic and superbly produced feature film which is enthusiatically commended to the attention of Christian communities everywhere. Gifford Claiborne - God's amazing providence! An outstanding family film that shows the incredible providence of God in saving an entire people group through one gospel of John. And what an exciting story about the jungles of northeast India. Compelling and Insightful. Mark Heaner - How we should all react to the message of Jesus ! Exciting true story of the effectiveness of our efforts ! When the day goes bad, at times I get this one out and get a refreshing that is beyond words. Excellent++, a true story, in the same league with "Pilgrims Progress"
We sat in awe throughout this movie, observing the power of God working through initially one man, and then one man again, and then one man again. It is an amazing and moving story. We were compelled to find Bibles For the World website and find out what the Pudiates were doing for God today. Our hearts were touched so that we will never forget the devotion and love of these people and how much God cares about everyone. You must see this movie -- your life will not be the same. A favorite! Jungle scenes eye-catching and the Welshtribal modern world connection is so interesting. You love the boy and how he grows up. The father is such an optimistic portrayal of someone who can know the true God yet far from civilization. This is truly an epic written by God Himself. It is so astounding, moving, unforgettable, and soul shaking, that I can't even think of the details of the story, or have the name "Rochunga Podiete" cross my mind, without having to fight back tears of joy and happiness and rejoicing in what God did with this one man from out of the jungle. It takes your breath away.